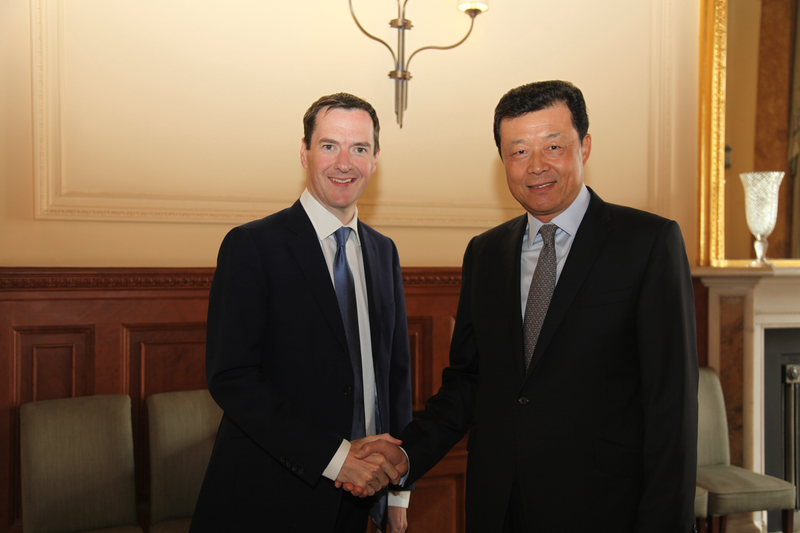 On 15 September, Chinese Ambassador Liu Xiaoming met with First Secretary of State and Chancellor of the Exchequer George Osborne. Osborne said that the development of UK-China relations is currently facing plenty of new opportunities and he is looking forward to his upcoming visit to China to co-host the Seventh UK-China Economic and Financial Dialogue with Vice Premier Ma Kai. He hoped that this dialogue will yield fruitful results so as to pave the way for President Xi Jinping's state visit to the UK in October. Ambassador Liu expressed his appreciation to the Chancellor for the importance he attaches to strengthening UK's relations with China. He said that China is looking forward to making joint efforts with the UK at the China-UK Economic and Financial Dialogue to bring the pragmatic cooperation between the two countries in economy, trade and finance to a new level and contribute to the success of President Xi's state visit to the UK. The two sides also exchanged views on cooperation between China and the UK in other relevant fields and international issues of common concern.